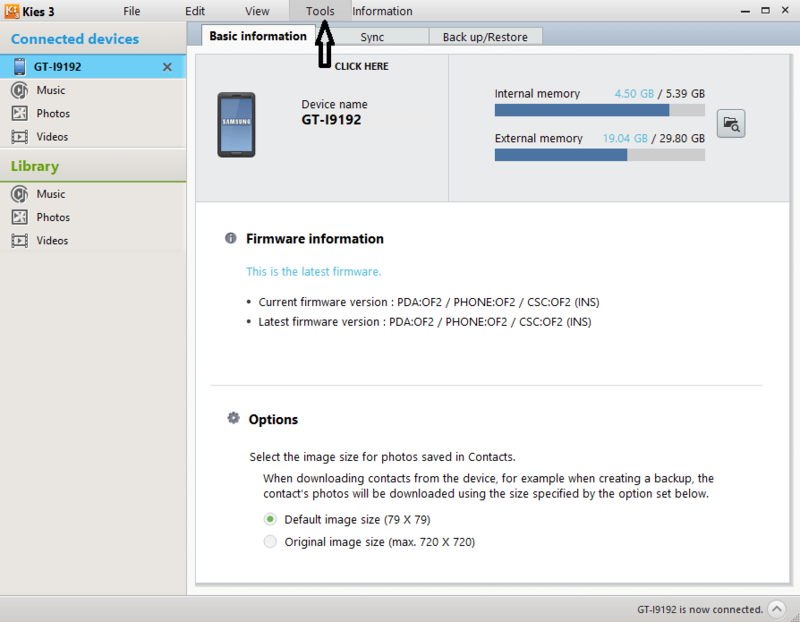 When we Install a new version on our Android phone via Samsung Kies or via Odin then due to many reasons it may fails. When your firmware upgrade is fail your phone will not boot up properly and it will show a message on your phone’s Screen. 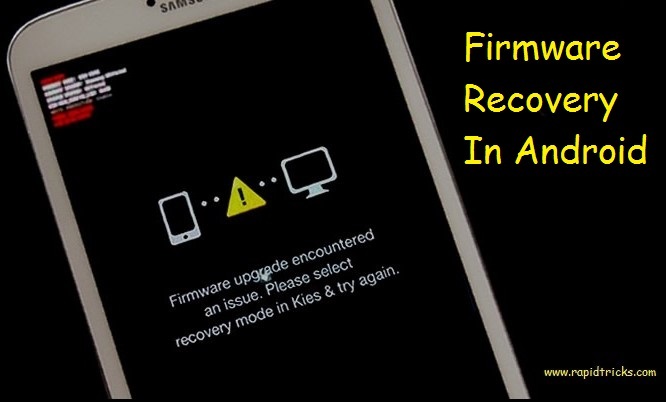 Reasons behind the Failure of firmware upgrade would be many such as Disconnect your phone From PC, Internet Connection lost While upgrading via kies, Electric Power Cut, PC Sudden Restart etc. 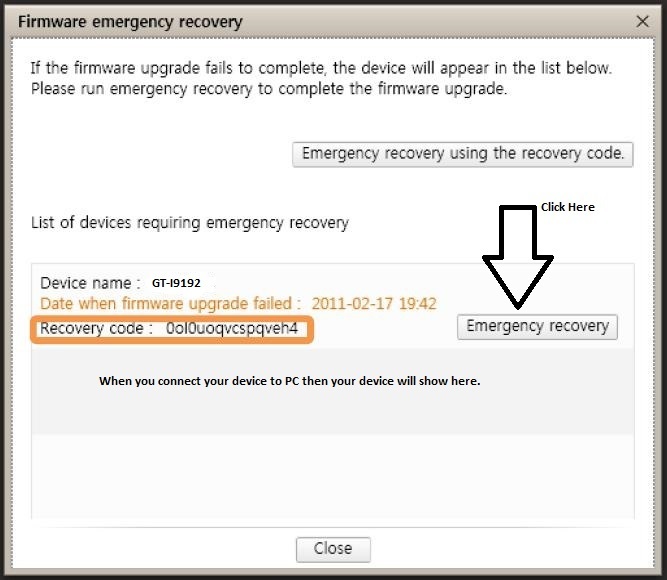 but for all the upgrade failure solution is recovery of firmware which was installed earlier. There are three solutions available for upgrade failure. 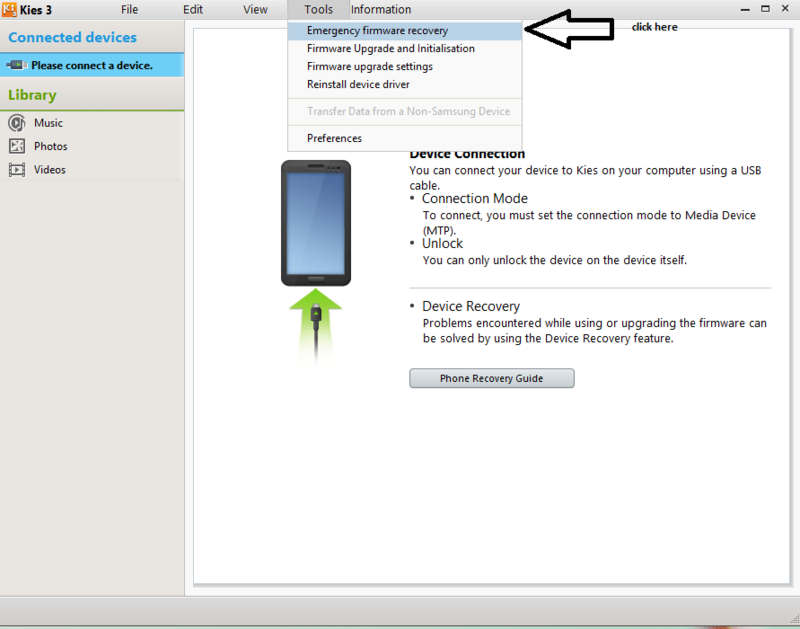 First is to reconnect your device to PC, Open Kies on your PC and start firmware Recovery. Open Odin, Download Recovery Files and Flash it in your Phone via Odin. 7. Wait till Recovery is done. 8. Your phone will restart normally after successful recovery. 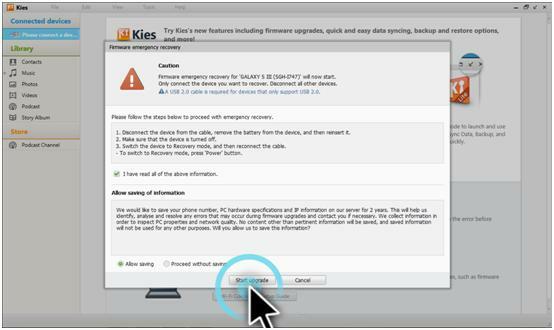 if you are using another computer for emergency firmware recovery then use the steps given below. 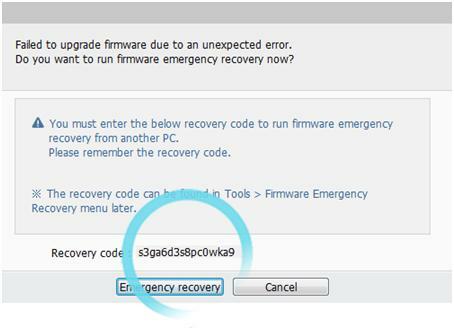 Click Tools > Emergency Firmware Recovery > Emergency Recovery using the Recovery code. 6. Your phone will restart Automatically.